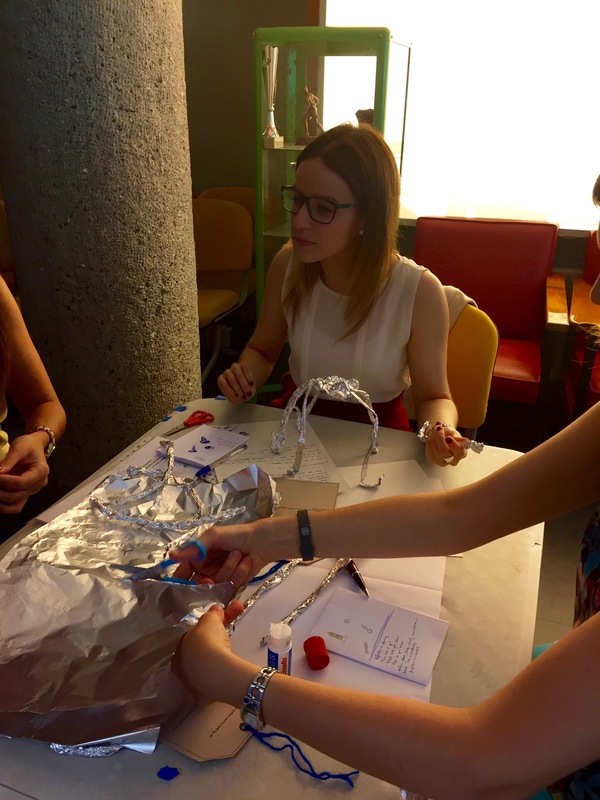 Agency by Design Project Manager Jessica Ross visits Bilbao and puts the Spanish translations of the team’s thinking routines into action. Educator created book for note taking during our “summer school” session in Bilbao. A morning greeting in three languages is an appropriate way to start each day of professional development session in Bilbao, the largest city in Basque Country, Spain. 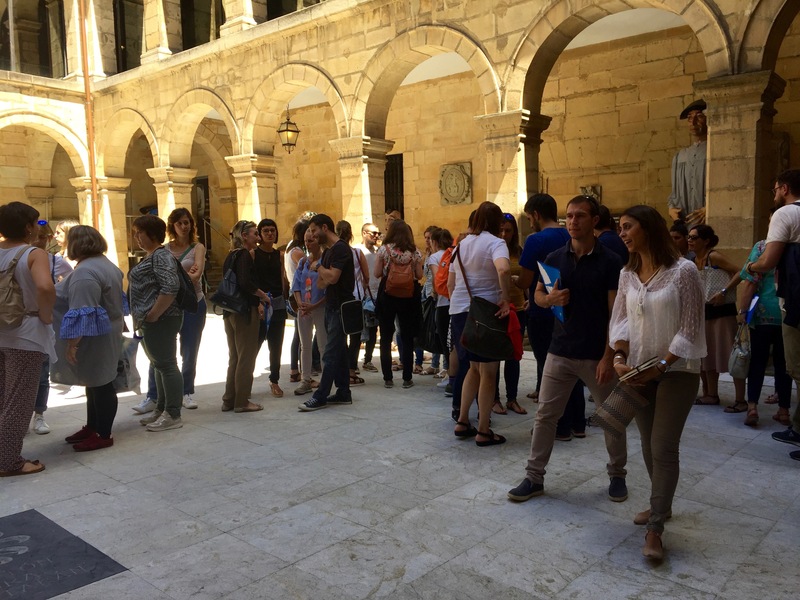 Recently, I had the opportunity to spend three days with educators from Bilbao to focus on two Project Zero (PZ) frameworks: Agency by Design (AbD) and Artful Thinking. Begoñazpi Ikastola hosted the event, for over 100 Pre-K – 12th grade educators, from several of their network schools. 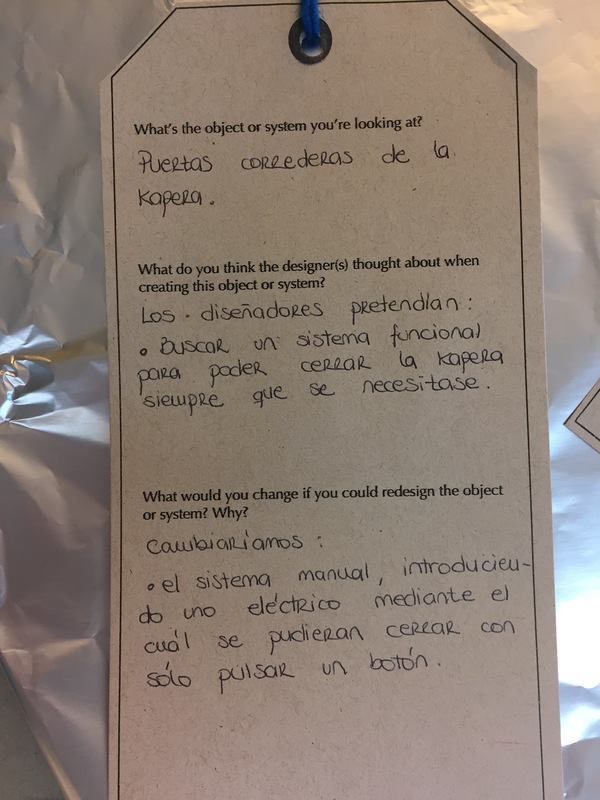 Sergio Fernández, the professional development coordinator at the school, hoped that teachers would engage with PZ frameworks that would further support incorporating art, design, and maker-centered learning into their existing practices of hands-on and project based learning. Courses at Begoñazpi Ikastola are taught in Basque, Spanish, or English. In order to accommodate my lack of fluency in Basque and Spanish, translators supported our learning throughout the three days. The AbD team is grateful for our PZ colleagues, Patricia León Agustí and María Ximena Barrera, who translated four of the Agency by Design thinking routines into Spanish and we are excited to be able to share those translations on our thinking routines page along with a few ways we experimented with the Agency by Design framework over the three days in this post. One natural intersection for Artful Thinking and AbD is through the practice of using thinking routines to build specific thinking dispositions. The Parts, Purposes, Complexities (PPC) thinking routine was developed, over a decade ago, as part of the Artful Thinking framework. A useful strategy for looking closely at art, it has been “upcycled” or repurposed for AbD because it also provides a highly effective practice for looking closely at the design of objects and systems. Euskal Museoa, a museum of ethnography and the history of Basque people in Bilbao, graciously hosted us for the afternoon of our first day. 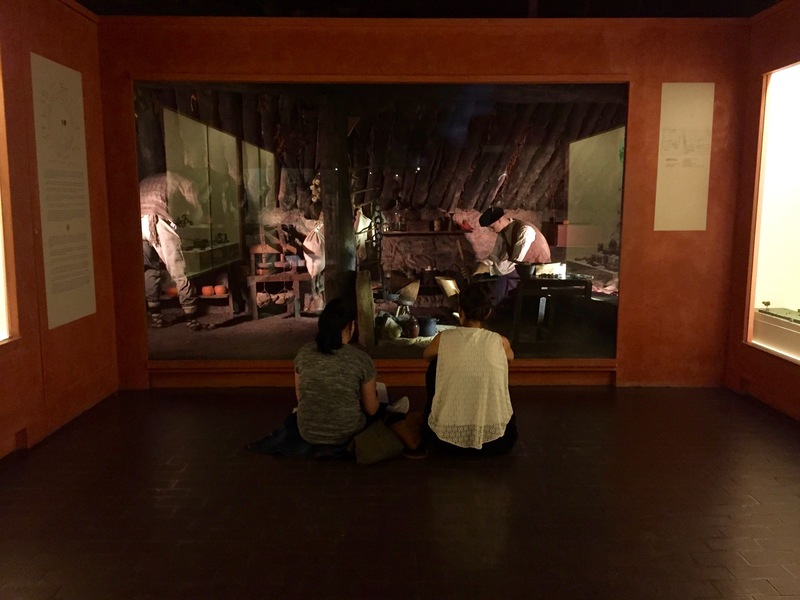 Images, photos, documents, artifacts, and dioramas from Basque life provided compelling entry points to consider broader systems. Educator notes using PPC to examine a pair of scissors. Additional thinking routines: Parts, People, Interactions and Think, Feel, Care have been designed to support the analysis of systems in a variety of contexts. 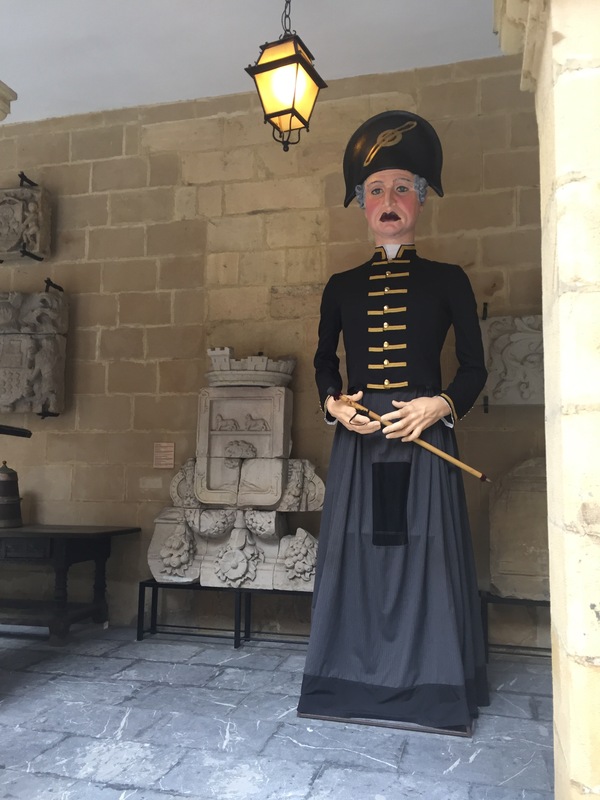 Dioramas depicting traditional ironworks or larger-than-life parade puppets are excellent specimens for exploring the complexity of historical and contemporary systems that are a part of Basque life. PPC, or Partes, Propósitos, Complejidades was also employed during day two when we did a deep dive into the capacities of the AbD framework: Looking Closely, Exploring Complexity, and Finding Opportunity. We began the day by looking closely at everyday objects and exploring the complexity of those seemingly simple items. 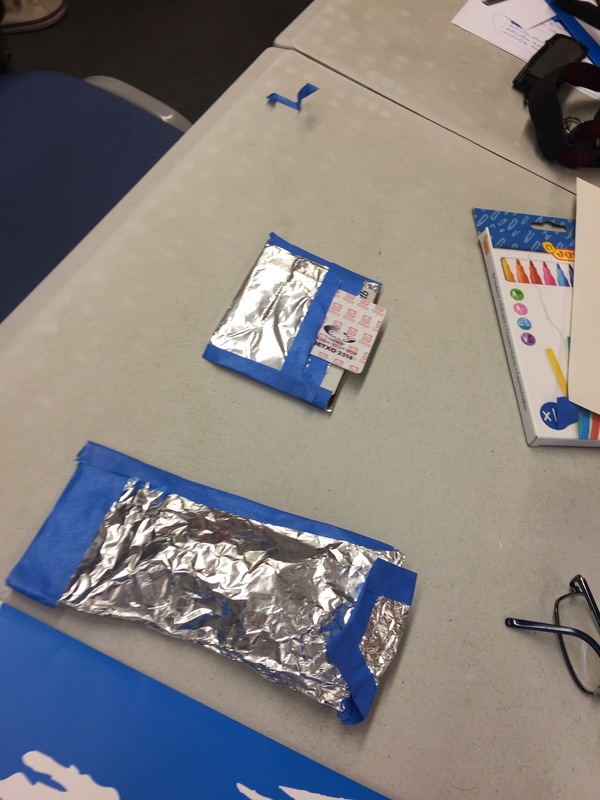 Moving into the third capacity in the AbD framework: Finding Opportunity, educators engaged in a materials exploration through redesigning everyday items like wallets as well as iconic sculptural pieces from Bilbao like Louise Bourgeois’ Maman. Design tags were used as another way to Find Opportunity. 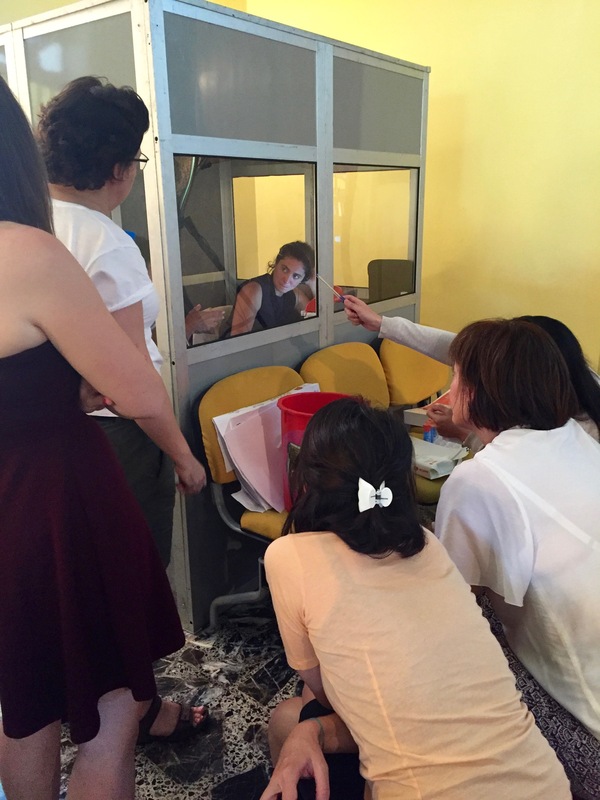 Educators carefully considered redesigning the translator booth (we learned from our translators that it can be a very hot place to sit all day) and considered a possible redesign of the sliding doors in the chapel room where we were working. Thanks again to all of our friends who helped to make these days a success and to our new friends from Bilbao. Hopefully we can share Basque translations of our thinking routines—along with those from other languages—in the future! In the meantime, we encourage you to share the Spanish translations of the Agency by Design thinking routines—and to please let us know if you are interested in translating these thinking routines into other languages. We’d be delighted for you to do so! Eskerrik asko. Gracias. Thank you! This blog was published on August 2, 2017.